mercor tecresa® is participating in the construction of the new Hotel Riu Plaza España, located in the homonymous building, icon of Madrid city and an architectural symbol of the 20th Century. 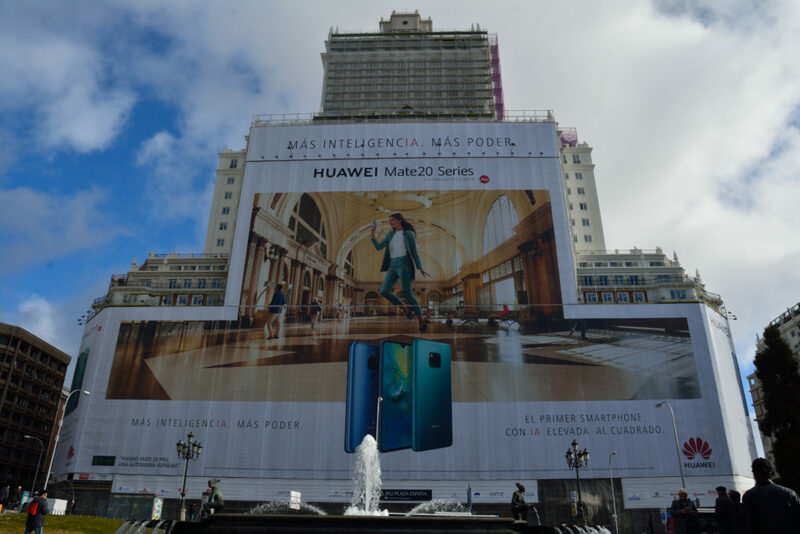 The original edification of this 117-meters-high building, placed at the end of Gran Vía and dominating the square that gives its name, ended in 1953. Inside, we could find a hotel, apartments, offices and a mall. The current renovation works will recover and pay homage to its history and activities. 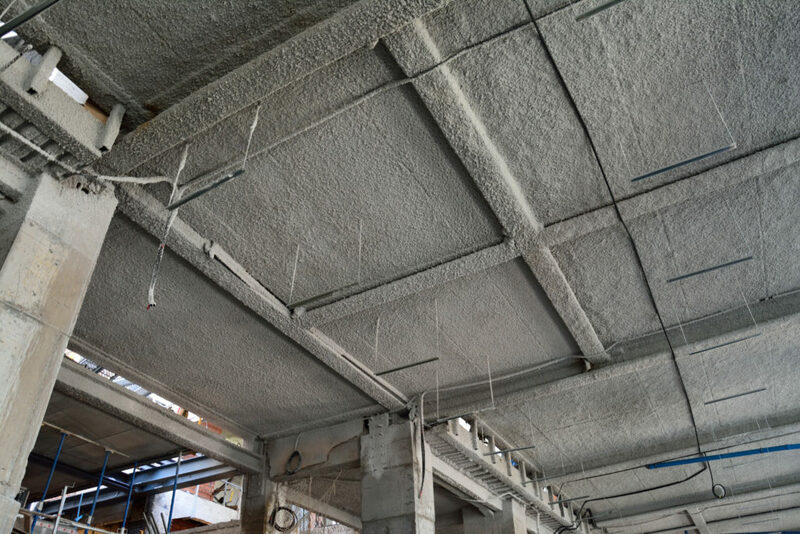 The Hotel Riu Plaza España is expected to be open in July 2019.
mercor tecresa® is providing passive fire protection systems, mainly, by the application of Tecwool® F Mortar on concrete elements (slabs, pillars and beams) and metallic structure, which has provided a fire resistance from 120 to 180 minutes, according to the project necessities and always supported by the Tests reports of the Tecwool® Mortar carried out in Official Laboratories. 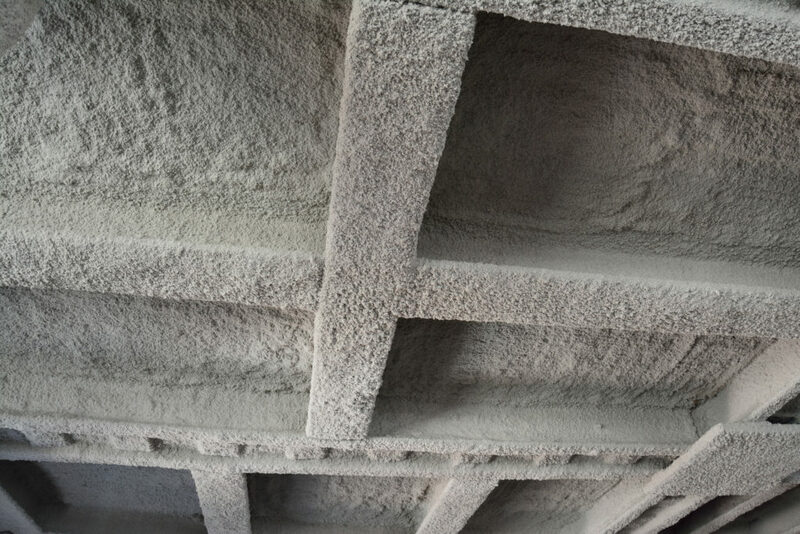 Tecwool® is a line of fireproof mortars composed of mineral wool, cement as only hydraulic binder and other additives in small percentages which are incorporated in the manufacturing process. 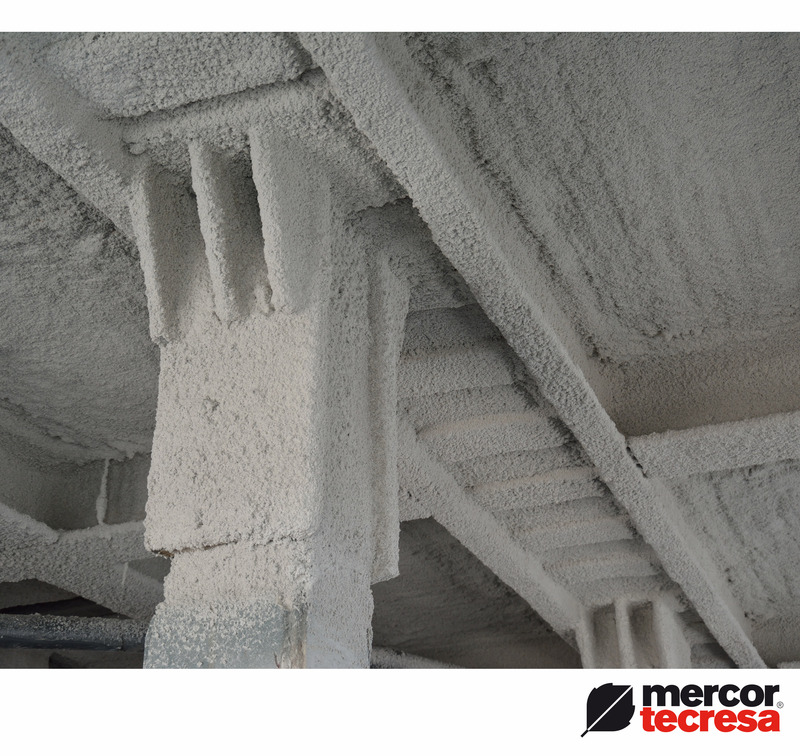 Depending on the required solution and the type of support to be protected, mercor tecresa® have several types of mortars with different densities: Tecwool® F, Tecwool® T and Tecwool® 825. Tecwool® F adapts to a wide variety of supports, even when they are exposed to vibrations or settlement movements. It does not crack due to its high adhesion and flexibility. For further information about our fireproof mortar catalogue, contact us.